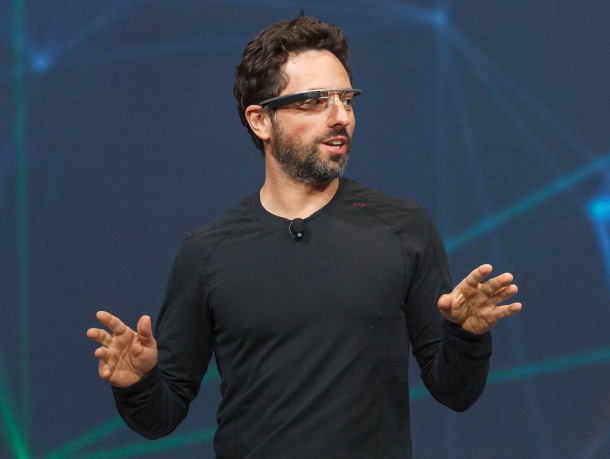 There aren’t a ton of people who have $1,500 to drop on Google Glass. No matter how steep price, it’s going to be strange seeing people walk around with it on. Equally as strange as it looks, hearing someone say, “Ok Glass, record a video”, is going to be an adjustment for those who aren’t wearing it. Google, however, seems optimistic that Glass will be a hit, and I must admit, there are things about it I find very appealing. Even though the Glass probably isn’t in my future anytime soon, I think it has some benefits once you get over it’s oddity. Instead of looking at computer screen while you “hangout” with someone on Google, they appear in the heads up display and can see what you see. Giving them your perspective allows you to share the experience. That’s why I think Glass and future examples of wearable technology have huge potential in the world of public relations and marketing. I’d never thought of product demonstrations, walkthroughs, or how-to videos as parts of PR until my first internship, which required me to blog a ton for various companies, their customers and followers. If you can, somehow, get over the price, Google Glass has to potential to be a great asset for demos, giving the customer or viewer the perspective of the demonstrator. It could create a more personal experience for those who want to learn how to do something. Maybe using a toolkit to fix something is made easier when you see it done from a first person viewpoint. Similar experiences can be seen through the lenses of GoPro cameras, which are becoming more popular every day. Likewise, companies that are trying to sell experiences and locations could use Glass to show the product from a potential customer’s perspective. What will a tour of Paris be like when you visit France? Well, let a French travel company show you. And say you’re pitching an idea to a company. You could use Glass to show that the experience will be like. I’m not going to say there are limitless possibilities for wearable tech, but the number of uses in PR could be big. Wearable technology isn’t a new idea, but it’s finally starting to take off. We’re seeing Google give a lot of focus to it with the Glass, while Samsung and Apple prepare to square off in the smartwatch arena (basically watches that do everything smartphones do). Applications, marketing campaigns, demos, and so much more for these devices are going to give PR practitioners and marketers a lot more responsibilities. There might even be social media-related contests centered around this tech. And don’t expect Apple and Samsung to be the only ones involved. Wearable tech startups are going to see growth as well. Imagine these wearable devices being able to monitor your health, your heart rate, and your fatigue. That’s what it’s coming to, and any healthcare-related entity is going to be in a very good position once they grasp that concept and run with it. For marketers, advertisers and communication professionals, getting people’s attention is becoming more difficult. It it isn’t enough to show a commercial on television or place a print ad anymore. It’s about creating positive experiences, sometimes fun experiences, for the publics that matter to us the most. Wearable technology will allow us to continue creating new experiences. It will also be a fun to see how it influences social media in the future.